Based on the best-selling children’s novel by Deborah Ellis, The Breadwinner tells the story of 11 year old Parvana who gives up her identity to provide for her family and try to save her father’s life. Parvana’s father Nurullah had told stories about history and imagination to Parvana as she helped him in the marketplace of Taliban controlled Kabul in the year 2001. When he is arrested Parvana finds the courage to look for him when everyone else had given up hope. She becomes a storyteller, remembering a brother she has once known. Every day is a challenge as Parvana tries to bring home enough food and water to support her mother, sister and little brother. She meets a fellow girl in disguise called Shauzia and together, they form a bond that will give them the strength to endure the war that comes to their doorstep in the Fall of 2001. The Breadwinner is a celebration of children – for children, whatever their age, wherever they live. 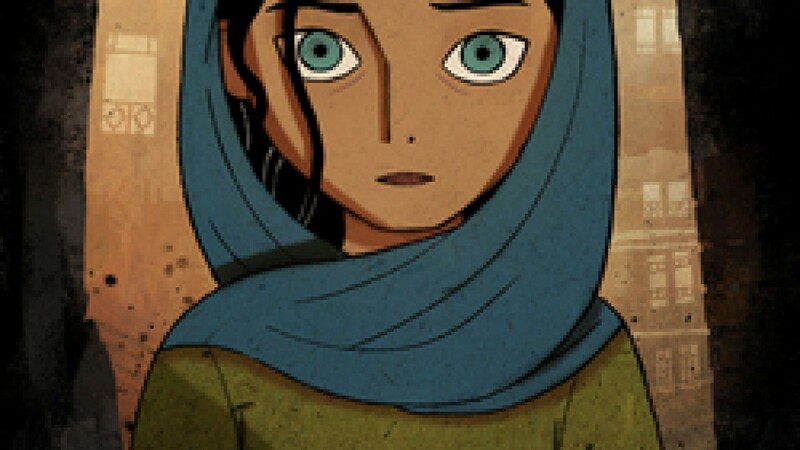 The Breadwinner is a co-production between Aircraft Pictures Canada, Melusine Productions Luxembourg and Cartoon Saloon in association with Angelina Jolie’s Jolie Pas Productions. Funding comes from the Irish Film Board, the BAI and RTÉ in Ireland. It will be released in 2017. The film is being directed by Nora Twomey with screenplay by Anita Doron and Deborah Ellis.